Looking for the perfect tossed salad recipe? A recipe and a method that turns a good salad into a great salad? 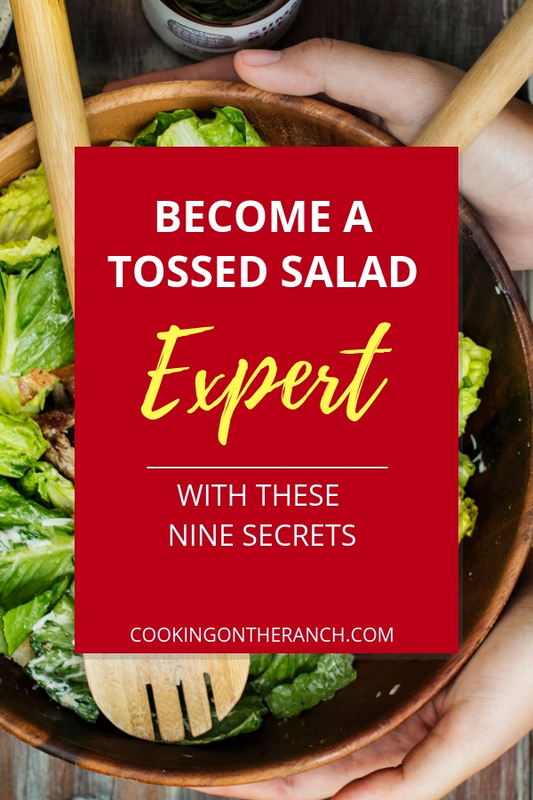 Learn the 9 secrets to prepare a tossed salad that’s well balanced, well dressed and remarkable in flavor and texture. 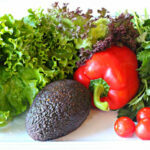 Learning to make a quality vibrant green salad is one of the marks of a good cook. 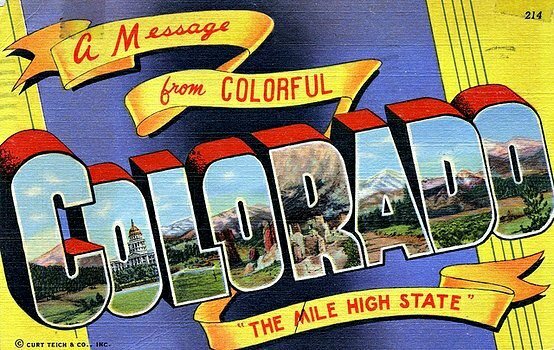 When is a good salad ever out of style, or place? Never. It’s pure, it’s palate cleansing and full of nutrition. Well-made, and dressed with care, it’s a thing of itself. 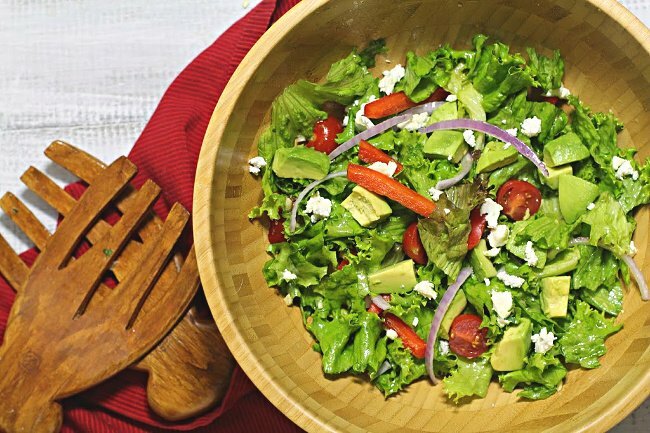 No need to endlessly search for good salad recipes, learning this solid method will turn out delicious salads every time. It’s an essential skill for any home cook. But what makes a salad a great tasting salad? Natural flavors should be heightened instead of disguised. Not complex or difficult, but rather fresh, crisp and balanced. Follow these secrets to the method of making the perfect tossed salad and then sit back and wait for your guests to ask you why it’s so good. A simple technique, so easy to do but a bit time consuming to explain. Seek out the freshest lettuces and greens you can find. When choosing a head of lettuce, turn it upside down and look at the bottom of the stalk where it has been cut. It should be fresh, green and with no discoloring. Leaves should be vibrant and free of dark and shriveled leaves. 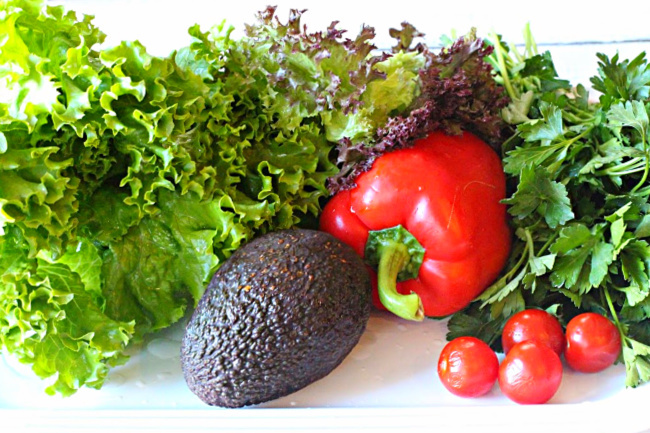 Mix up lettuce varieties for texture and color. I like to start with Red Leaf for its showy beauty. Then look to add romaine, spinach, butter leaf, arugula and curly green leaf. This is only a start, but these are usually readily available. Purchase quality olive oil. I like it delicate and buttery for a green salad. An easy to find mass produced brand is Pompeian…but if you can find Terra Medi Organic you’ll be glad you spent the few extra dollars. A fresh and fruity oil will also work, Unio at supermarkets, or the higher end Lucini will work well. And an even easier option for purchasing olive oil – any Whole Foods house brand is reliable. Don’t forget quality in commonly used ingredients such as fresh lemon, fresh garlic, a quality mustard, either grainy or Dijon, Worcestershire Sauce, and fresh parsley. Lettuce washing is not difficult, but dedication is required to do the job right. Separate the lettuce into individual leaves. Rinse each leaf under cold running water and place the leaves in a large bowl. Run the bowl as full with lukewarm water, swish the leaves around, then remove them to a colander to drain. Don’t let them soak in the water for long or you’ll rid them of vitamins, flavor and crispness. This second rinsing step is important, as you’ll be surprised to find there will still be some dirt at the bottom of the bowl even after that initial cold water rinse. After the final bath in the lukewarm water, run a blast of cold water over the leaves in the colander. Let them drain while you prepare for secret #3. 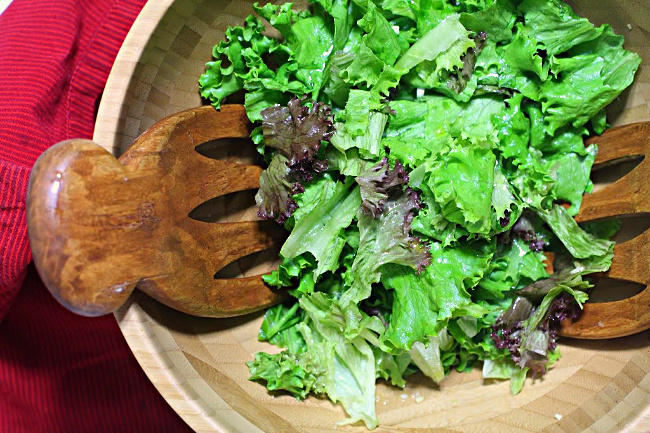 Wet greens may be just alright, but dry leaves make a great salad greater. Why are wet leaves a less desirable? Take the time and dry those leaves correctly. Or better yet, use a salad spinner. I’ve had several salad spinners, and OXO Good Grips is my spinner of choice. I’ve included an affiliate link for your convenience. I am a member of the Amazon Affiliate Program. If you order this spinner, I will receive a small commission at no extra charge to you. 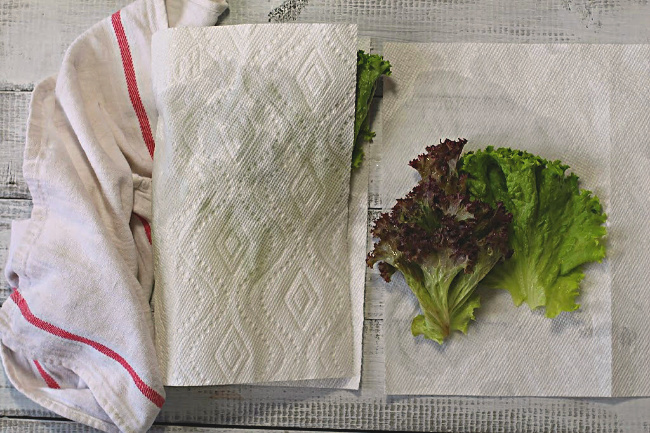 After the lettuce has been dried, lay out a length of paper towels or very clean cloth towels. Lay the washed greens on top and either roll them jelly roll style or gently fold the towels over the top of the greens. 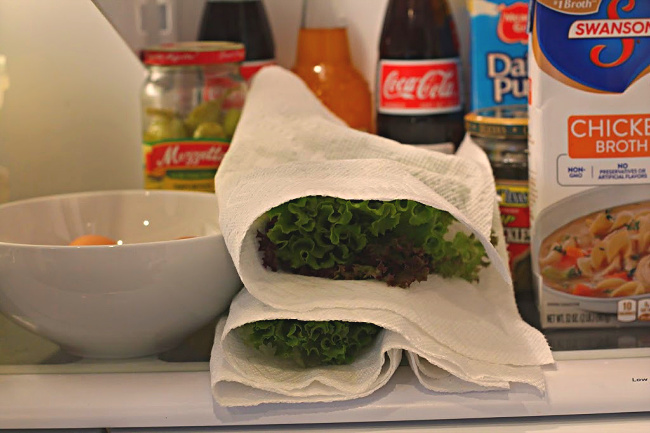 Place the covered greens in the refrigerator until you’re ready to use them. If you are planning to store them for a day, place the paper towel filled leaves in a sealed container or plastic bag. 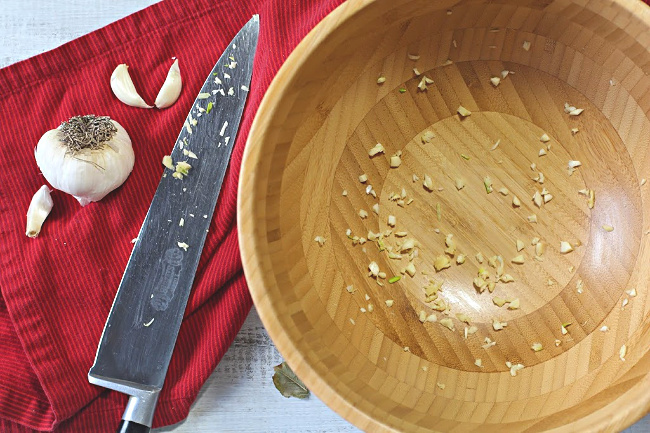 Some suggest merely rubbing your wooden salad bowl with a clove of garlic and then tossing the clove of garlic away. I call that wimpy. Either fine chop or use a garlic press to add garlic to the salad bowl. Rub the chopped garlic against the sides and bottom of the bowl and leave the pieces there until you’re ready to go. Think wooden and think large. A wooden salad bowl needn’t cost you an arm and a leg. There are some absolutely beautiful showy bowls if you’re willing to spend. I found one that works quite nicely at Ikea for under $15. Chill those plates. Chill them in the refrigerator, or even better in the freezer. A salad on a chilled plate just tastes better. Try it! Don’t begin construction of the salad until a few minutes before serving. Of course, you can chop and slice any vegetables you’re adding in advance. 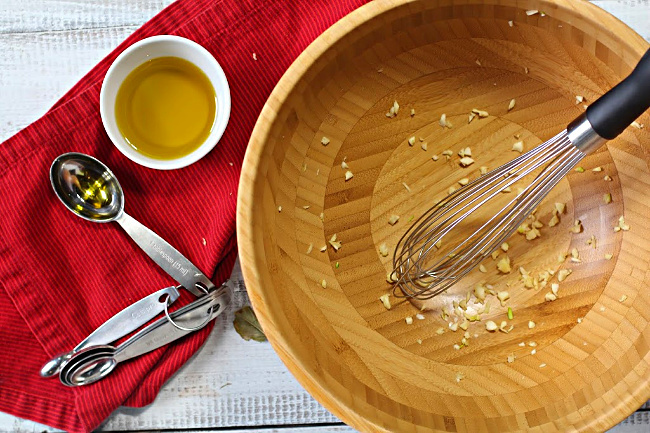 Add four tablespoons of good fruity aromatic olive oil to that garlicky salad bowl. Remove the salad leaves from the refrigerator and tear them into bite sized pieces. Add the lettuce pieces to that garlicky salad bowl on top of the olive oil. Using tongs, salad tossers, or even your very clean hands, toss the greens until each leaf glistens beautifully with olive oil. The olive oil seals in the leave’s moisture keeping each leaf crisp, the crispness that was achieved by following the previous steps. Toss again vigorously but gently until the ingredients have been well distributed among the lettuce leaves. Taste and adjust seasonings. Grab the salad plates from the freezer and plate that beautiful salad. Add more delicate and porous ingredients after the olive oil, at the same time you’re dressing the salad in Secret #9. Seeds or nuts would fall into this category. I like to keep my salad pretty simple. Especially when it’s the starter for a beautiful dinner. Below you’ll find my recipe for a simple dressing that brings out and enhances the natural flavors of greens without disguising or over powering their delicate and fresh flavors. Turn ordinary salads into delicious salads. And if you have a favorite tossed salad recipe, let me know, I’d love to give it a try. Now that you’re a salad making expert you’re probably looking for more ideas for a tossed salad recipe for your next meal. 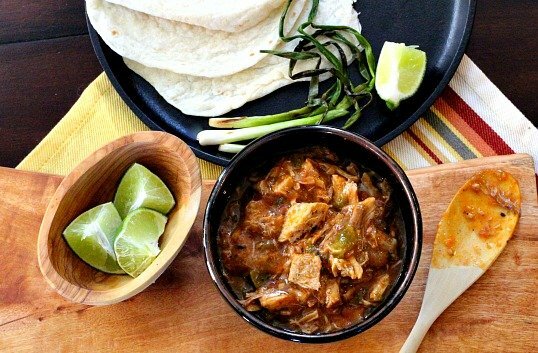 Try the technique on these popular combinations. 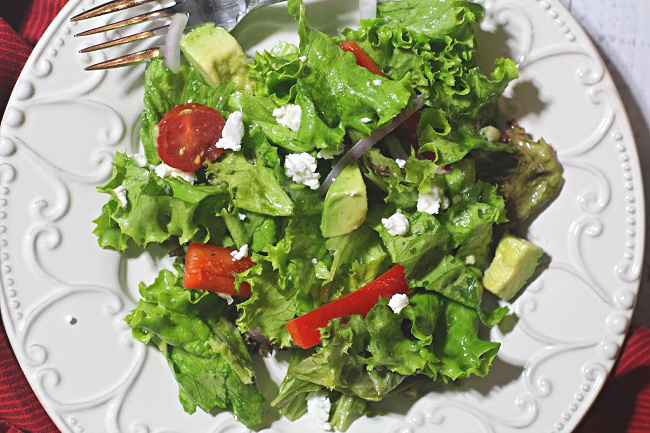 Looking for the perfect tossed salad recipe? A recipe and a method that turns a good salad into a great salad? Learn the secrets to prepare a tossed salad that's well balanced, well dressed and remarkable in flavor and texture. 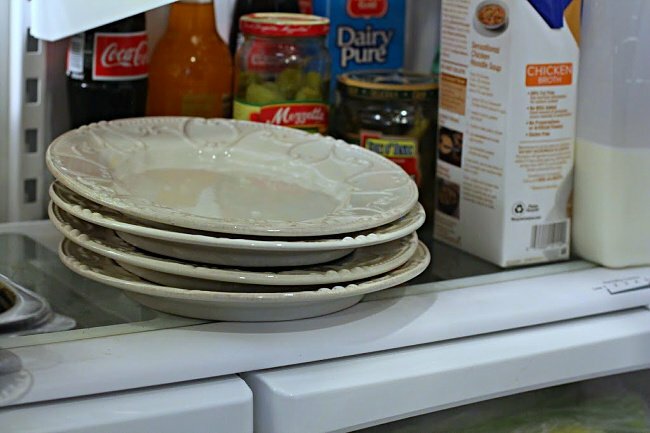 Chill salad plates in either refrigerator or freezer. 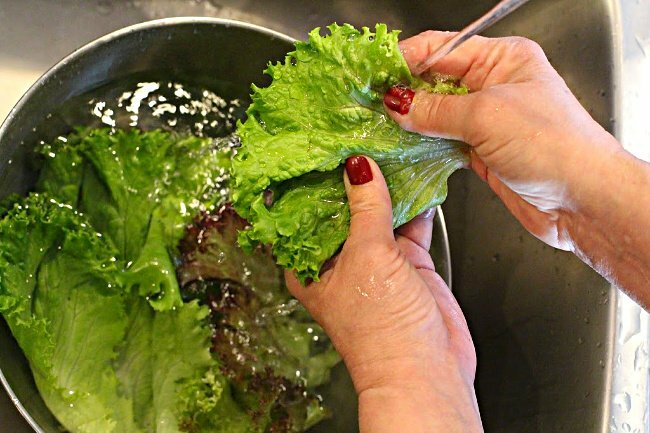 Wash, rinse and dry lettuce: Wash each leaf under cold running water. Then place leaves in a large bowl filled with lukewarm water. Swish the leaves around and immediately place them in a colander to drain. Dry the leaves by wiping them with paper towels or using a salad spinner. Make sure to get as much as the moisture off as possible. Place the dried leaves on paper towels. Roll the leaves up jelly roll style or fold the paper towels over the leaves. Place them in the refrigerator to store until you're ready to construct the salad. If you want to store them a day in advance, place the paper towel stored leaves in a plastic bag. Fine dice or press the garlic clove through a garlic press. Rub the garlic on the side of your salad bowl. Add the olive oil to the bowl. Remove the lettuce from the refrigerator and with your clean hands, tear into bite-sized pieces. Place the torn lettuce leaves on top of the olive oil. 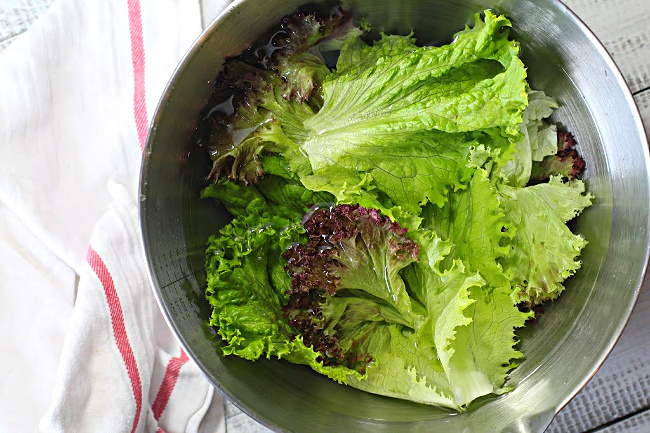 With clean hands, or salad tossers, toss the lettuce gently but vigerously until each leaf glistens with olive oil. Squeeze on the juice of 1/2 lemon. Remove any seeds that landed in the bowl. In a small bowl mix together the mustard, Tabasco and Worcestershire sauce. Add the salt, Worcestershire sauce mixture, red bell pepper strips slivered red onion, olives and fresh parsley to the salad greens. Mix well. Top with chunks of avocado and goat cheese. I also like to sprinkle on just a touch of dried oregano at the end. Serve immediately.